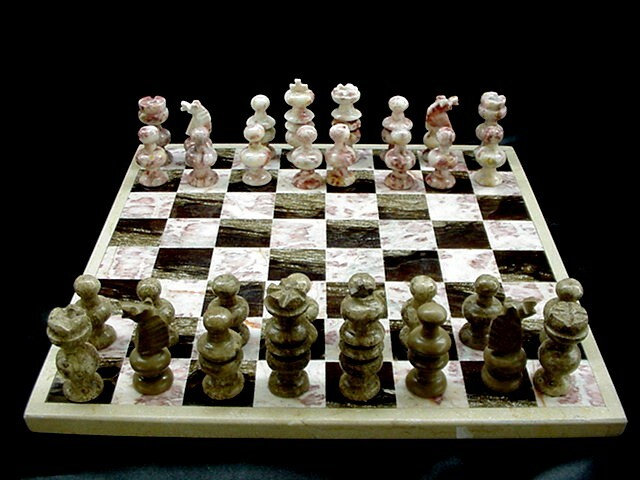 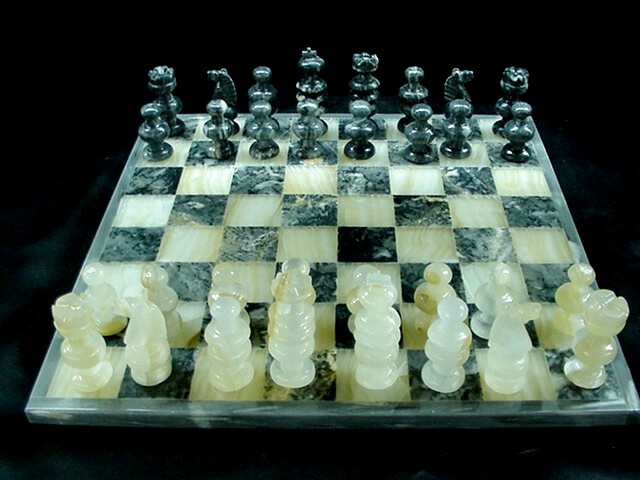 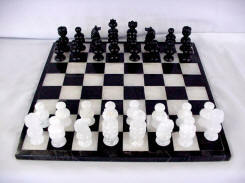 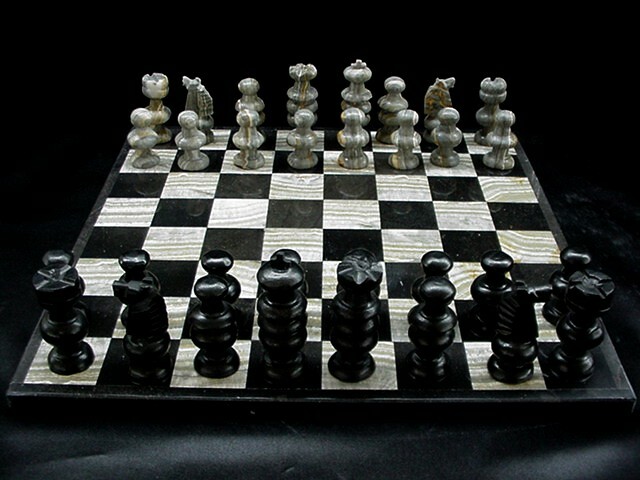 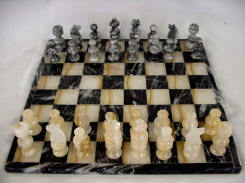 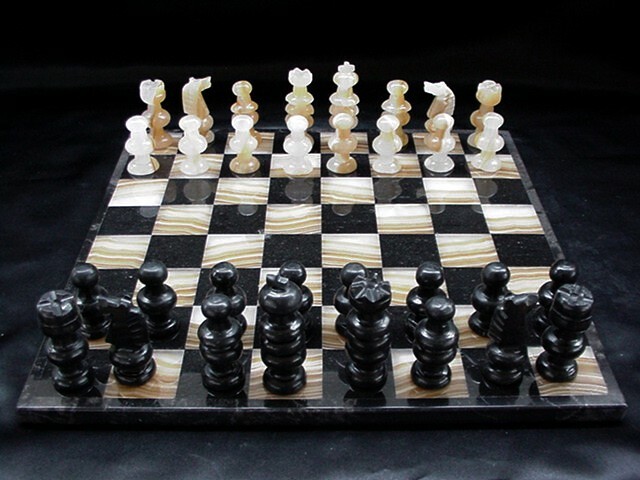 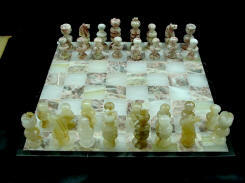 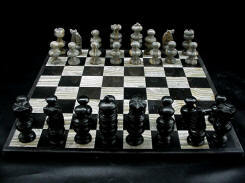 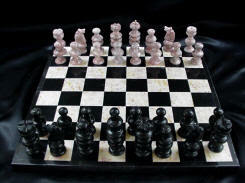 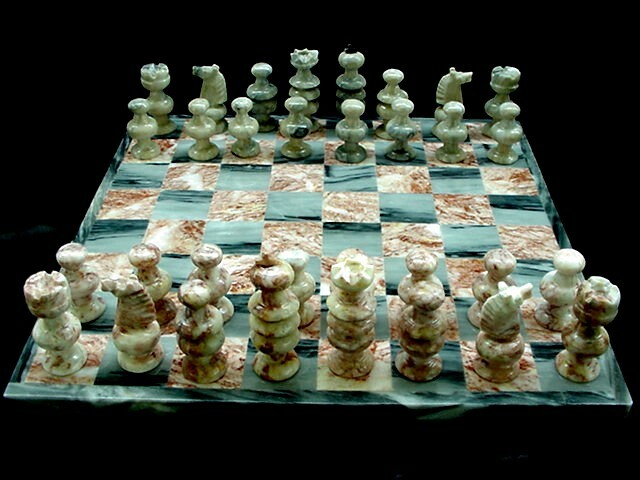 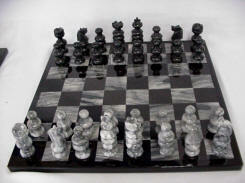 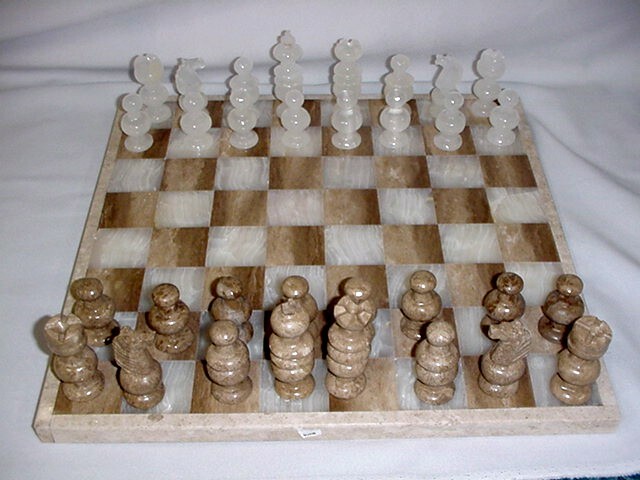 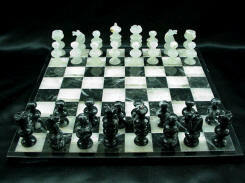 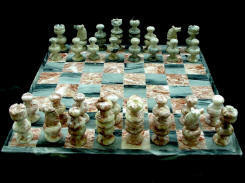 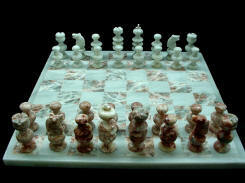 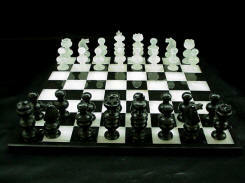 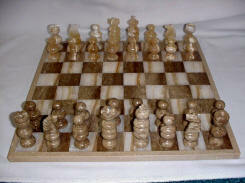 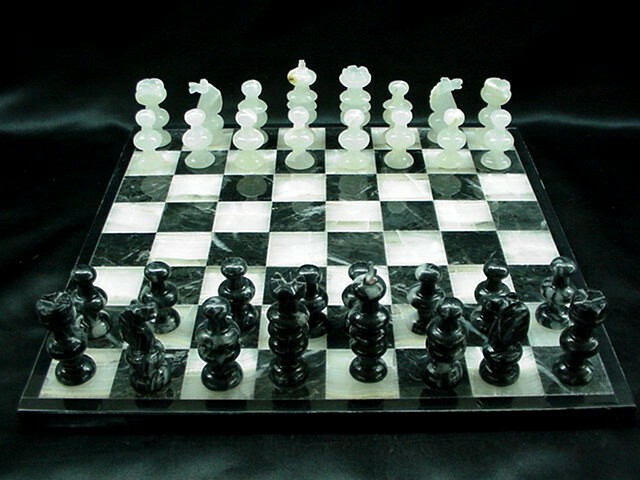 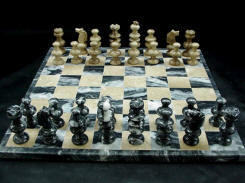 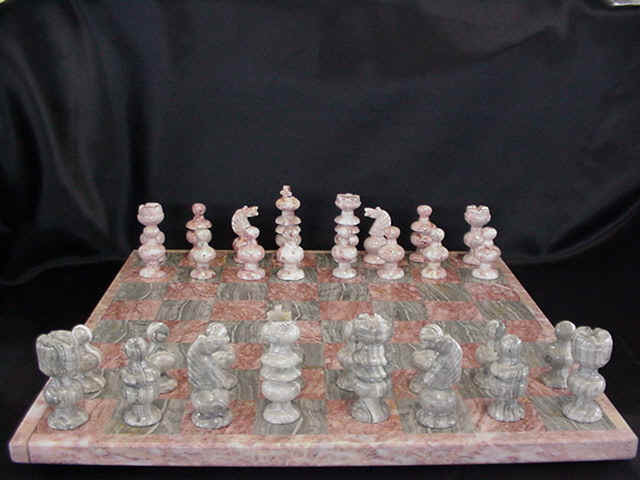 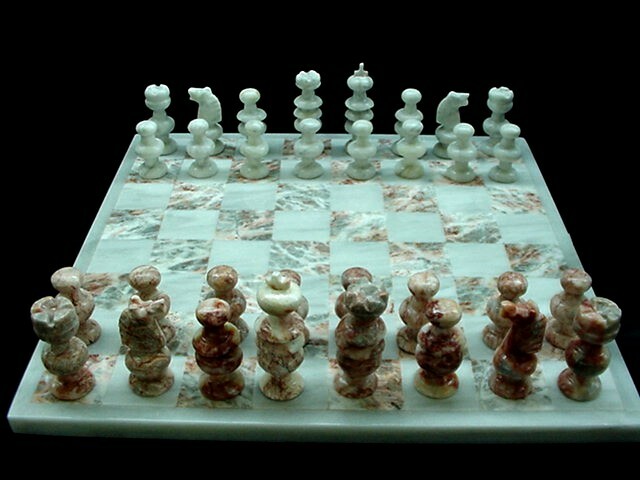 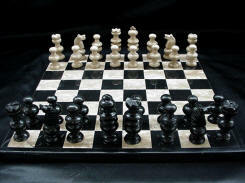 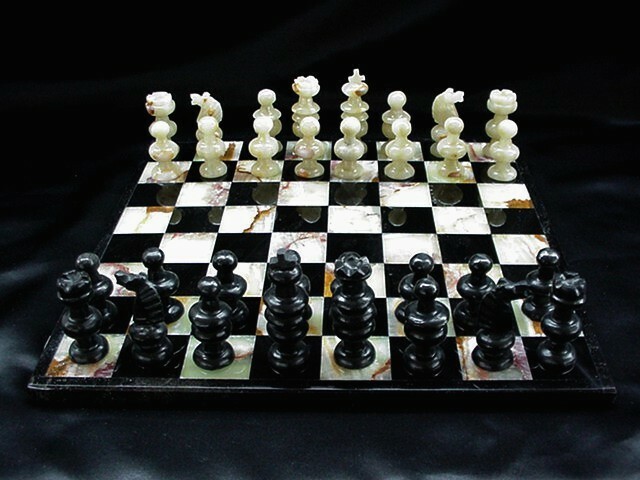 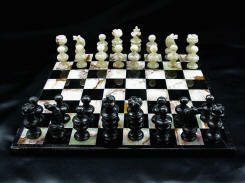 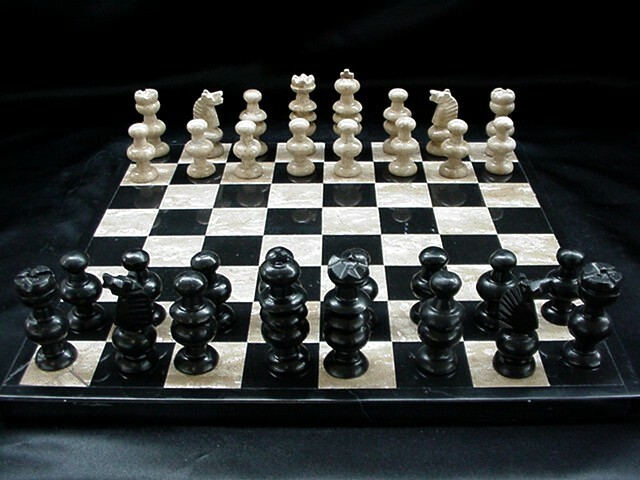 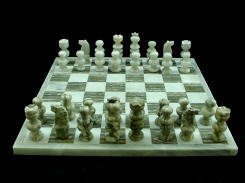 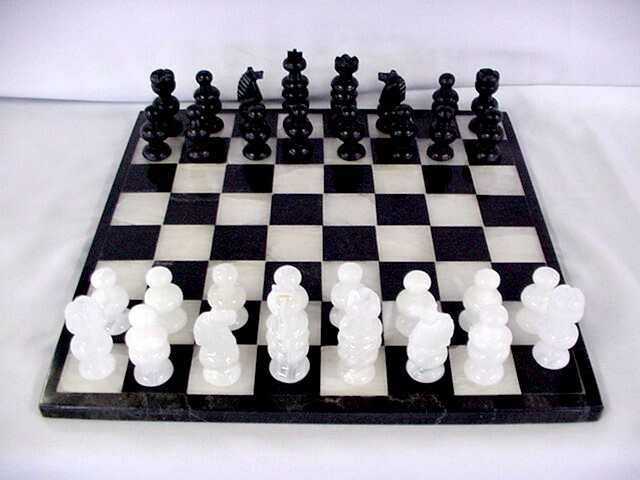 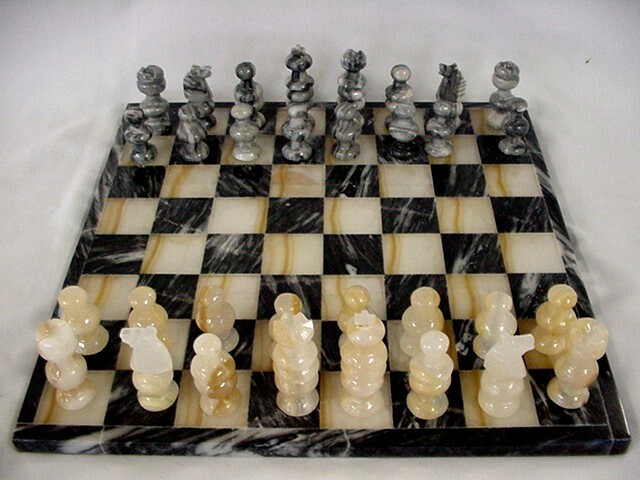 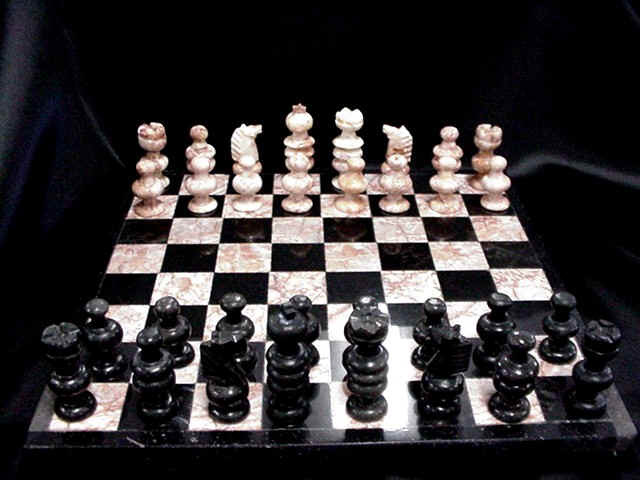 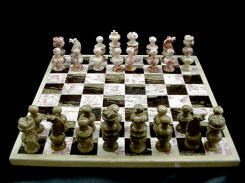 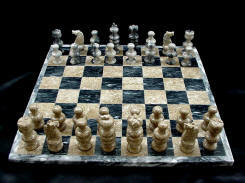 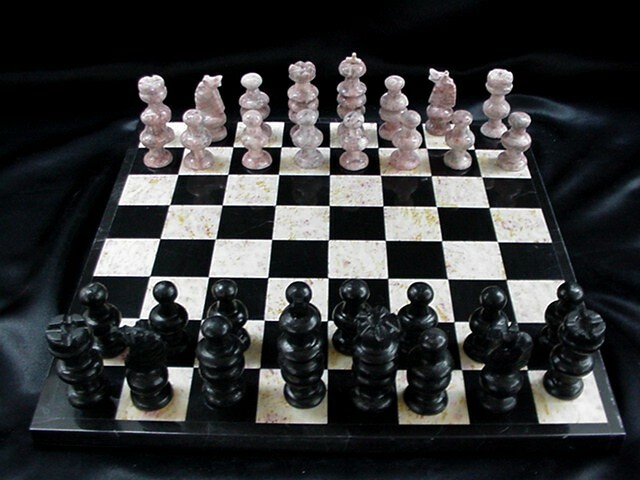 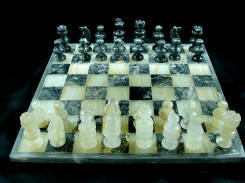 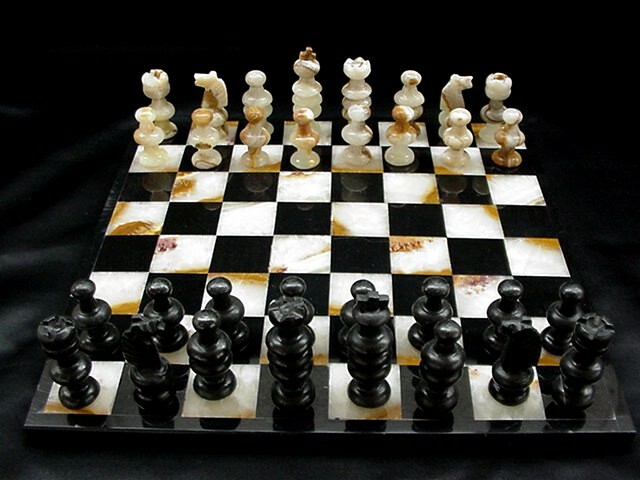 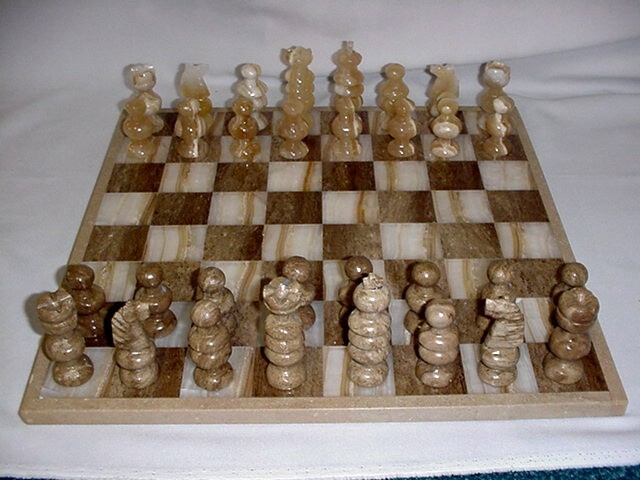 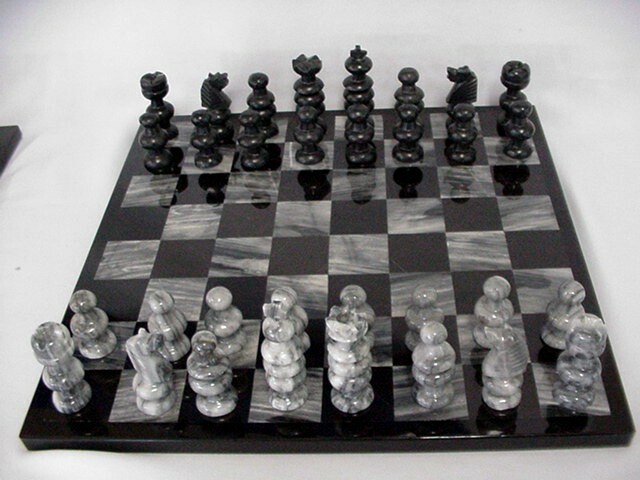 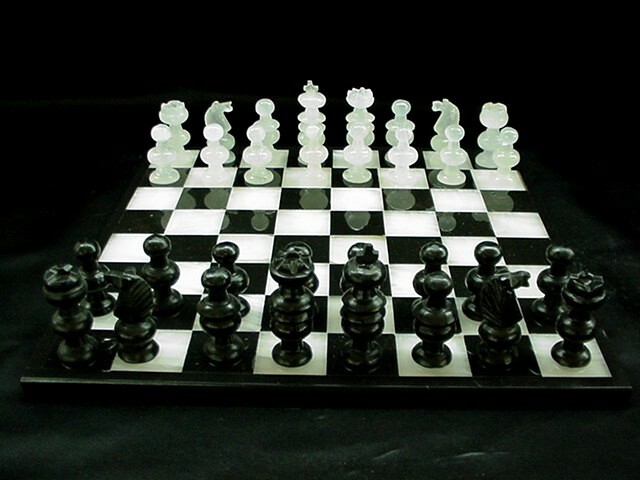 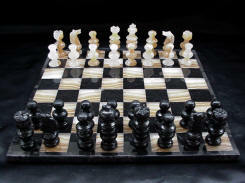 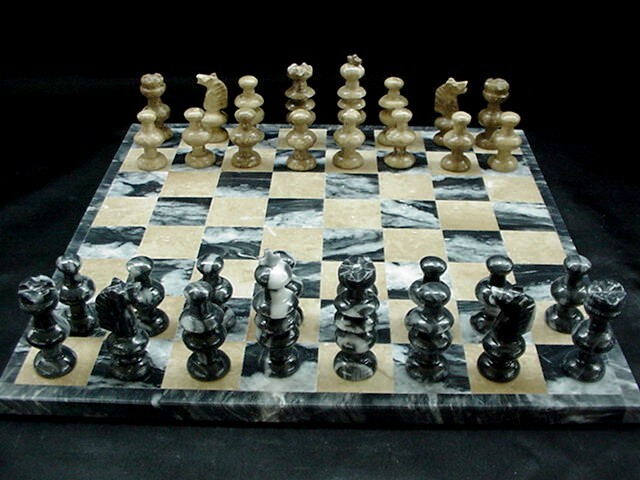 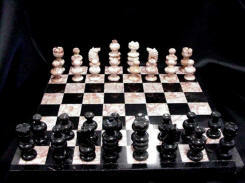 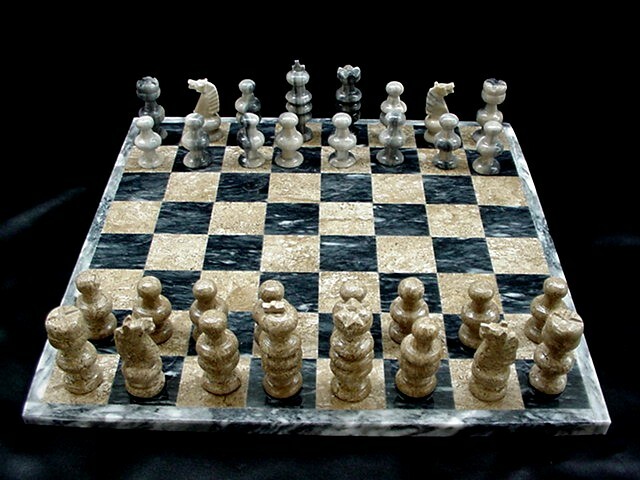 Our chess sets are made of natural onyx. 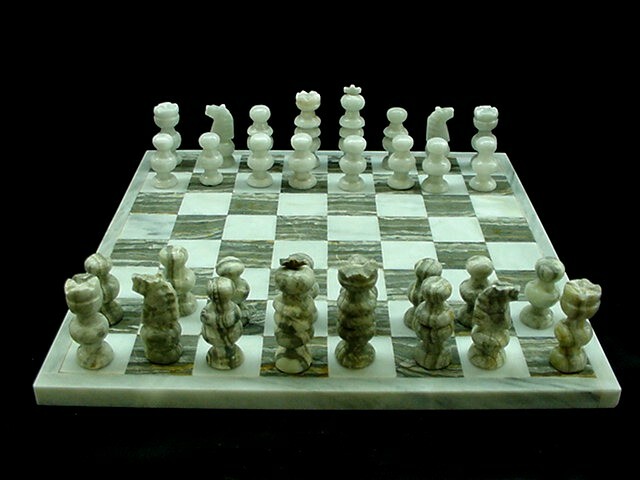 Each piece is hand-carved. 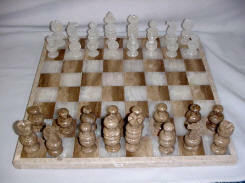 The board measures 13 3/8" square, and the king stands a proud 3" tall. Pricing for the chess sets is $50.00 each or for orders of 5 or more, $45.00 each.